I can’t believe 2018 is coming to an end. Things have been busy for Studio1534 and I want to thank you for being along for the ride. The year has been filled with memories, equipment updates, and a full rebrand! I wouldn’t be here if it were not for all of you amazing clients. So thank you! Thank you for allowing me to capture the precious moments in your life. Maybe we worked together for a session of portrait photography or maybe I was your wedding photographer. Each session we share together I like to think of as me capturing a piece of your life’s story. From first loves and marriage, to new births and yearly family photos. I feel honored to share these moments with you as your photographer. So what’s coming in 2019? Big things my friends. The website will have additional updates made to it and in early Spring of 2019 I will be launching marketing and design services for small businesses! More to come on that later...for now I’d like to review five ways Studio1534 is growing come January 1, 2019. Social Media: Do you follow Studio1534 on Facebook and Instagram? If you don’t you are missing out on exclusive offers and exciting content! In the new year even more content will be shared to Facebook in effort to allow you to easily share sneak peek images from your sessions with family and friends. Facebook is where photography mini session dates are announced and holiday discounts can be found. The Wedding Magazine: In the fall of 2018 I introduced the wedding magazine to all of my fall brides. The magazine was a huge hit and will be carried over into 2019. The revamped wedding magazine features wedding planning tips, a helpful list of wedding day details to consider, example wedding photography timelines, and more! In January all 2019 brides will receive their wedding magazine in the mail. New Wedding Packages: I now offer three exciting wedding photography packages! I know weddings can get expensive and planning can be stressful. I believe that a small budget shouldn’t limit the quality of wedding photography you receive. I want to work with you because you love my work. Offering a three, five, and eight hour wedding package, my goal is to be more accommodating for your situation. Mini Sessions: Let’s talk mini sessions. Who doesn’t love a good mini session? In the new year I will be offering more mini session opportunities. Speaking of mini sessions, have you booked your time slot for the Smoke’n Hot Valentines Day Mini Session? 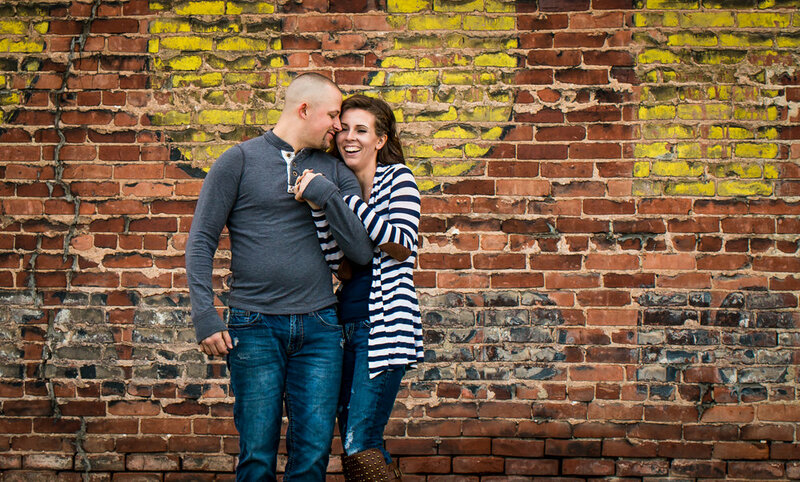 This fun opportunity will feature a smoke bomb with ever session! Contact me for more information! Branding: New gold foil business cards are on the way! Oh and you just have to see this years USB drives that all brides will receive....think crystal and gold tone!